American Grilling Sauce Without Compromise. National BBQ Competitions are tough. There's always someone out there trying to be the biggest or the best. Our sauces have been tested in this environment for years, and each year we walk away with accolades. We are proud of our sauces and what they represent - quality, taste and value. Crafted in small batches for a full flavor experience. Our sauce provides grip so nothing is wasted in the coals. This is the one that started it all, our Signature sauce. It is a thinner sauce with a great balance of tomato, vinegar, and spices. It has been battle tested, both in competitions and with day-to-day use. It has seen the highs of the World Championships and has put smiles on kids faces at picnic tables in backyards everywhere. We are proud to offer it to you and we hope it becomes your household favorite. 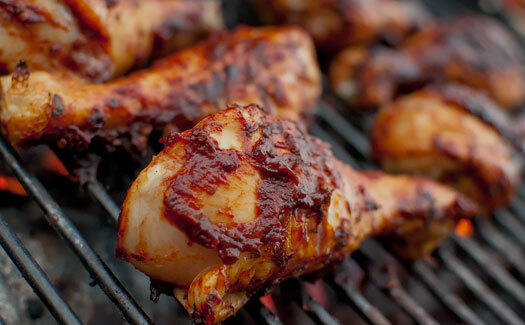 For those of you who like a little more pep in your step, try our Sweetly Wicked Barbeque Sauce. This is a great twist on our original as we turned the sweetness up and added some heat at the same time. The great thing with this sauce is that the heat continues to grow as you continue to eat. Those who eat less won't get the same effect as those who enjoy sitting at the table. Stay tuned! We'll have some mouthwatering recipes for our Signature and Sweetly Wicked Sauce very soon. 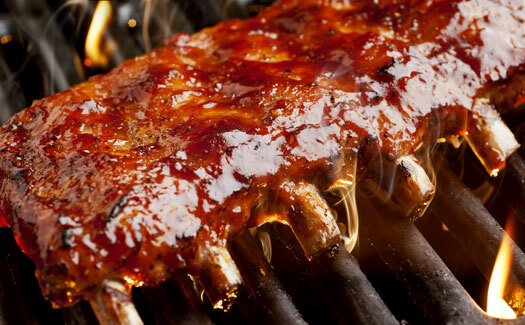 BBQ is what we love. 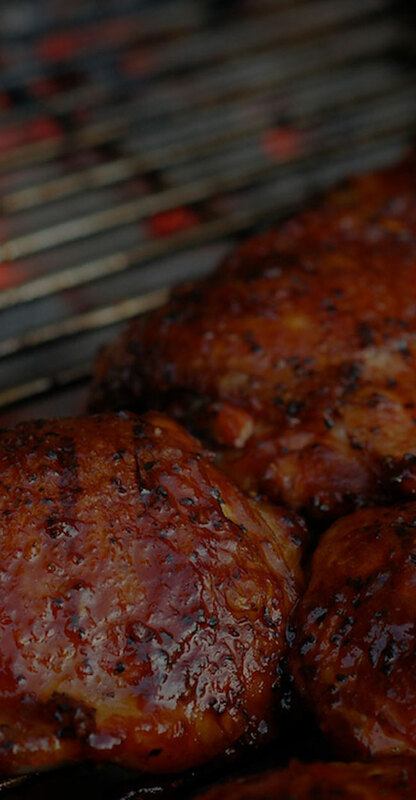 Come by and say hello at any of these upcoming BBQ competition events. We cater the same way we compete. For our team, the taste is in the details. Our guarantee is that we won't serve any meat that we wouldn't put in front of a competition judge. Our mission is to bring happiness to your belly while putting a smile on your face. We're not afraid to put our products up against anyone, as we constantly do during barbeque competitions around the country. We are proud, honored, and humbled by the fact that people choose our sauces and our barbeque over the many different choices available. We will continue to strive for excellence, and you will ALWAYS get the best we have to offer. Make sure to thank a Veteran today. Shipping methods include USPS Priority. Please email us for bulk orders or distribution. Want the latest news from Slayton's Barbeque? Register for our newsletter to receive all the company and competition info -- straight to your inbox. © 2017 Slayton's Barbeque Co · All rights reserved.